When it comes to giving tips for services, it can be a very uncomfortable area for many people. When you go to a restaurant, general etiquette would be to leave the waiting staff a tip of around 10-15% of the total bill. Some restaurants make it more straightforward by including a service charge with their bill. In other industries such as health and beauty, tips are also a common expectation so it is usual to give a tip to a nail technician or to a hairdresser, particularly when you are really pleased with the end results and the overall experience. Working out the right amount for a tip for dog grooming is even more difficult to gauge, as it isn’t really a topic that comes up in conversation unless you have lots of fellow dog owner friends. 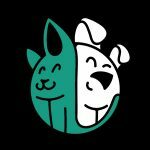 How Much Should I Tip A Dog Groomer? The whole concept of tipping is to show your appreciation of the work that is provided. It is a reward for a job well done, so you should avoid tipping for tipping’s sake. If you are not happy with the quality of the grooming that they have provided to your dog, then you should not tip them. 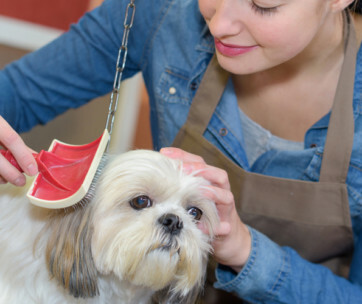 Of course, if it is your pet’s first visit to a dog groomer, then you might not have a great idea of the difference between a great job and a poor job. It will take a few visits and maybe trying different grooming services before you build a better judgment of the quality. If you are not too sure then it might be a good idea to give around 10% until you have a better idea. Another factor to consider is the business set up. If the groomer is the business owner and is charging quite high fees for their services then you might be less inclined to tip than if the groomer is an employee of a business and likely to be on relatively low pay compared to the owner. Some dog groomers will provide small, extra services at no extra cost, which are usually worth giving that tip for, to ensure that you get the same next time. If they spend time to talk to you and give you advice, without looking at the clock and trying to rush you out of the door so they can get to their next customer, then that personal effort is usually worth paying a good sized tip for. 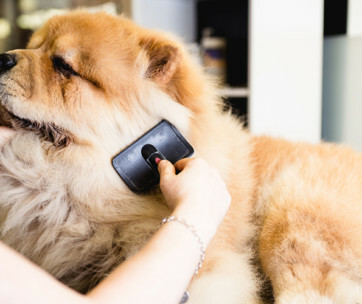 Their advice might be really valuable, either in importance to your dog’s health or in terms of saving money on the wrong products and you might not get this from all dog groomers. If they take time to make your dog feel comfortable and relaxed, this is also a very important factor to consider. 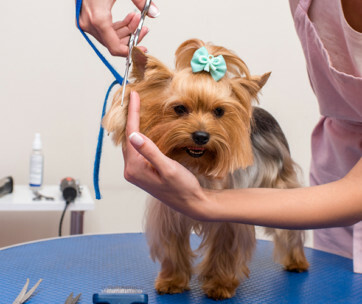 Yes, it is a dog groomer’s job to deal with all kinds of dogs with different types of temperament but if your dog makes their job particularly hard then you might want to pay a bit extra to ensure that they are happy to keep providing their services. It may be that they are just not very warm towards your dog and you might be best to try an alternative groomers instead. You should also consider whether the job is much harder for the groomer if for example, your dog’s hair is really matted then it will be a hard job to get it under control. 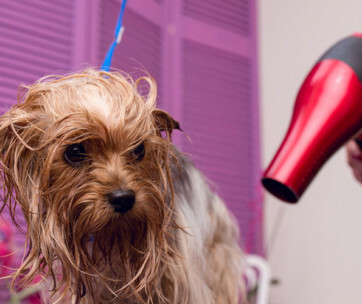 The saying goes that you should never work with children or animals, but your dog groomer works with unpredictable, often chaotic and messy canines who might urinate on them or even worse. 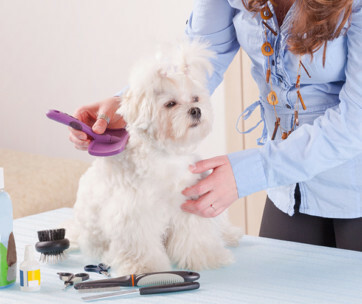 Dog grooming is far from one of the easiest or glamorous of occupations, so take that into account too when you are deciding whether to give a tip and of how much. Certain times of year like Christmas and New Year are the times where people would usually give a tip or alternative gift to someone who provides a service all year round. This is the time of year where waiting staff, hair and beauty workers and others in the service industry will usually expect to be rewarded for their hard work from regular clients. If you usually give a decent tip throughout the year, you might want to consider giving an extra bonus over the holiday period to show your appreciation for what your dog groomer does for your dog. To summarise, there really is no right or wrong answer as to how much you should tip your dog groomer, it all comes down to how much you value their work and whether you can afford to pay for tips on top of the service, depending on how high the rates are. 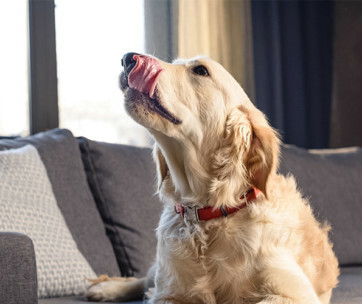 A tip of around 15% would be considered a good tip, so if you are happy with the service and how they are with your dog then that is the kind of amount you should give your dog groomer. If you’re still not sure, you could strike up a conversation on the topic with fellow dog walkers, or use an online forum to ask people in your area how much they pay for their dogs to be groomed. There are plenty of groups on Facebook, or pet related websites where people will be more than happy to give you advice about the services they have received from dog groomers.